A visual analysis essay is quite different from a normal essay. 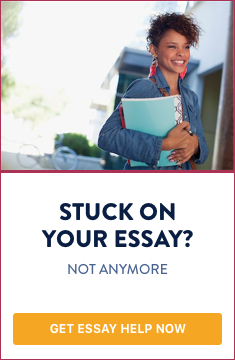 Essays in general are descriptive, reflective, argumentative, etc. But a visual analysis essay is different from these as in the visual analysis essay there is no given topic or research statement. Students are supposed to think on the topic and content of the essay by interpreting and analyzing the visual stimulus which might be in the form of a photograph, a portrait, a painting, a sculpture or any kind of artistic object that has some amount of graphical element in it. However, quite often students find it difficult to write such essays as they are not aware of the steps and methods involved in writing a visual analysis essay and as such, the common query they make is: “how to write a visual analysis essay?” This article is aimed at such students who find writing a visual analysis essay a challenging and daunting task. What is the object that the artwork is referring to? Is it animate or inanimate or a mixture of both? What is the material used in making the artwork? Is it stone, wood, canvas, paper, etc.? What is the form or structure of the artwork? Is it a sculpture, painting, image, portrait, etc.? What was the approximate era or period when it was made? What is the approximate era or time it refers to? Is it representational in nature? If it is, then what exactly is being represented by the image, painting, drawing or sculpture? What might be the reasons for the artist, painter to portray the artwork in that particular fashion? What emotion does the artwork convey to the mind: colour, texture, tone, shape, space of the sculpture/painting? What are the initial feelings that come to the mind after looking at the artwork? What are the secondary thoughts that come to the mind on a second look at the artwork? Do the initial and secondary feelings and thoughts correlate with each other or are they different from each other? What is the overall theme, motif or symbol that the artwork is trying to convey to the reader? Does the title of the artwork have any seemingly resemblance with the artwork or is it quite vague and abstract from the artwork? After the artwork has been studied thoroughly and all the ideas have been exhausted, the next step is to write all these thoughts that have been accumulated in the mind in the previous steps. This is a basic outline that you should follow while trying to attempt to write a visual analysis essay. While structuring the essay, it is important that an appropriate thesis is chosen. The thesis is the first and foremost thing that should be kept in the mind while writing the essay, as it relates to the main idea(s) of the visual analysis essay. Another important thing that should be kept in mind while writing the essay is that the paragraphs should both be assertive as well as creative in nature. You should think and reflect on the artwork in a creative way in the initial few paragraphs of the essay. But the later paragraphs should solidify into a concrete statement, by becoming assertive and authoritative in nature. In the end a concluding paragraph should be made so that a proper conclusion is reached and a restatement of the thesis/essay title is clearly achieved. By following the above-mentioned steps, you will find writing a visual analysis essay an easier task to do. The first step in writing a visual analysis paper is to review the piece of visual art carefully for a long period of time, ensuring you make note of all notable aspects such as the tone, characters, objects and setting. Record all your thoughts as this will be your guide to creating your visual analysis essay, as they will be the main points discussed. Next, you will want to write your essay starting with an introduction that explains your thesis statement for the art piece. This will be followed by the body of the essay, which explains your main points. The visual analysis paper can be concluded by summarizing the main points and giving your final opinion on the piece. What the visual meant to the artist compared to what it means to you. What the visual meant in the time it was done compared to what it may mean now in the present day. Any changes to the meaning of the visual that may have occurred over time. Possible reaction of audiences and also your reactions and feelings towards the piece. Examine the visual carefully and thoroughly. Document details such as the artist, when it was created, any characters or objects in the visual, background setting, colors used, type of materials used, etc. Use the information you documented to form your visual analysis piece. These can be used throughout the introduction and body of the essay. Be sure to include your interpretation of the piece and give reasons for your opinion. Before you conclude, ensure that you have properly evaluated the piece and given sufficient arguments on what was seen and interpreted. End the visual analysis paper with a summary of the main points and your final thoughts on the evaluation of the piece. When writing a visual analysis of an artwork, you will need to describe elements such as the lines, shapes, colors and forms in the piece. Next, you will want to evaluate how they are put together, ensuring a comment on the symmetry, balance, proportion, scale and rhythm of the piece. In order to analyze a painting, you must record the artist’s name, title of the piece, date the painting was created, medium used, size and the stylistic period. Following this you will need to describe the subject, theme, content, background and ideas ascertained from the piece. Other points that you will need to review and comment on are the focal points, geometric shapes, symmetry and depths of the piece. Sculpture details – artist’s name, title of the piece, where it was made, when it was made, dimensions of the piece, ensuring that you state the height of it first and the material used to make it. Subject matter – determine whether the piece is abstract or representational, explaining reasons of your opinion, and give details on the characterization of the piece. Other observations to include content, lighting, color, lines/contouring, space and depth. Analyzing a photograph is similar to analyzing many types of visual images. You will need to look at and comment on the age, dimensions, lighting, color, lines and texture of the picture. In addition, you should make note of any emotions the photograph evokes and any opinions you have on what is in the picture. Symbols may be used to represent a main point, issue or idea and it is your responsibility to decipher what the artist means. Exaggeration is done when they emphasize a physical feature of a character or thing to make a point. Labelling is done to ensure that their point is clearly made. An analogy is used to compare a complex issue with a more familiar one to help explain it to the audience or help them see it from a different viewpoint. Irony is often used to explain their view on a subject matter. When you have assessed these points, you will need to determine what the issue is and the opinion of the cartoonist. You can then determine whether or not it was a persuasive cartoon and express your thoughts and opinions on it. Introduce the ad by stating the product or service being advertised. Give background information on the ad, and maybe a competing ad, making sure to state the medium (TV, radio or press). State the target audience it is aimed at, the reaction of the persons to the ad and end with your own thoughts on it.